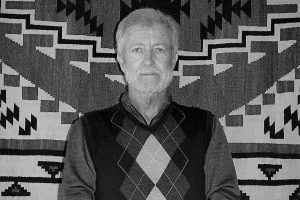 Hooked on Giving Gary Silverfield ’69 makes supporting his alma mater a top priority. Gary Silverfield ’69 and his wife, Laine. Silverfield, who jokes he’s “a deal junkie,” was a successful real estate developer. Despite being officially retired, he still drops by his office at the Silverfield Development Company, which his son, Leed Silverfield ’99, has taken over. There are now four W&L graduates in the office. He and his wife, Laine, who has worked in non-profits, appreciate the values that Washington and Lee continues to espouse. “Gary and Laine are committed supporters of those organizations about which they are passionate,” noted Tres Mullis, executive director for university development. 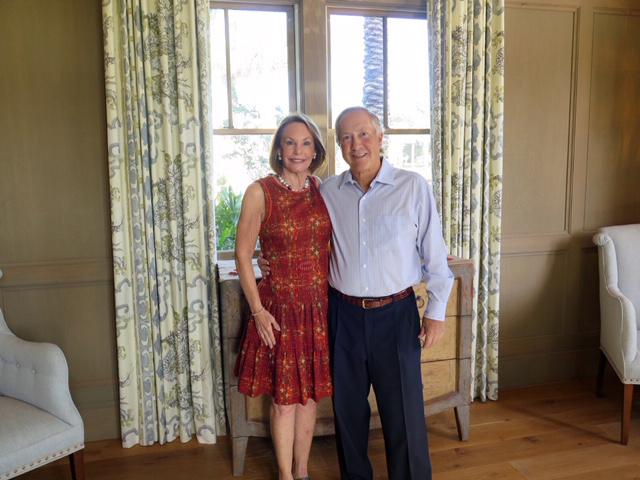 “Washington and Lee is fortunate to be among the beneficiaries of their generosity.” The couple even set up a family fund so their children could learn about giving as well. “Giving has been a consistent part of our lives,” Silverfield observes. 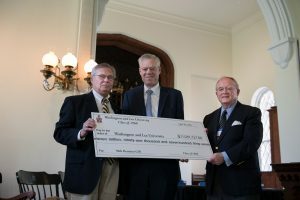 “The university has benefited from their consistent support of the Annual Fund as members of the President’s Society over many years,” Mullis pointed out. “Gary is now setting an example of leadership for his class’s 50th through a named gift in the new Duchossois Athletic Center and generous support of the Class of 1969 Scholarship.” Silverfield, who played on the golf team all four years at W&L and captained the team his senior year, when asked to help with the new indoor golf facility, decided to fund it completely. Silverfield also named W&L as an IRA beneficiary, the proceeds of which will pass tax-free to W&L. The 50th reunion is the only time deferred gifts count in overall reunion giving; deferred gifts recorded within five years of the 50th reunion are included within the reunion giving total. Planned gifts can be applied to the class project, to something special the donor may want to support or they may be unrestricted, as is Silverfield’s gift. Unrestricted gifts are important to the university because they allow trustees to allocate funds to W&L’s highest giving priorities. For more information on IRA beneficiary designations or other deferred gifts, please contact Margie Lippard in the Office of Gift Planning at mlippard@wlu.edu.